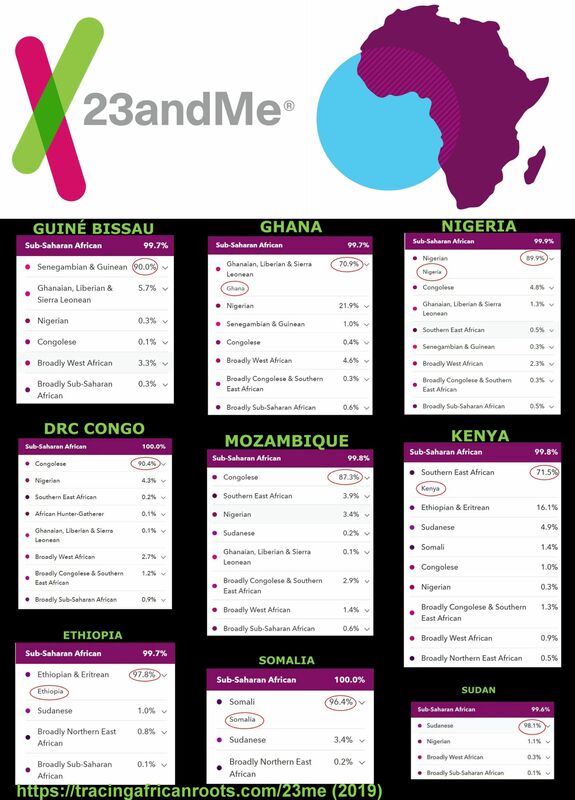 Updated 23andme results from across the African continent. A small but representative sample. 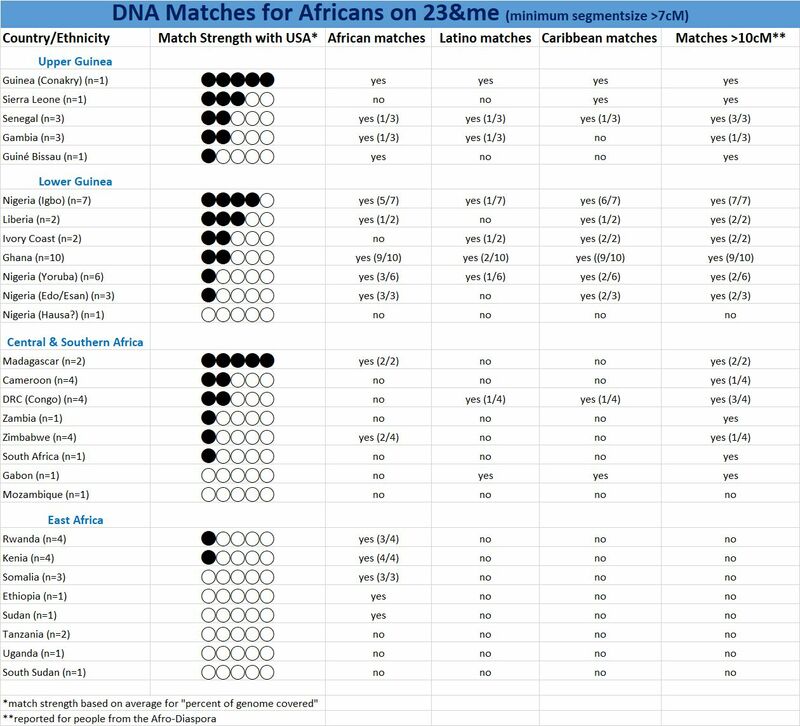 Highlighting how 23andme’s new African regions appear to be quite predictive, for native Africans themselves. Unrealistic expectations about “100% accuracy” as well as counter-productive obsessing about regional labeling should be avoided. 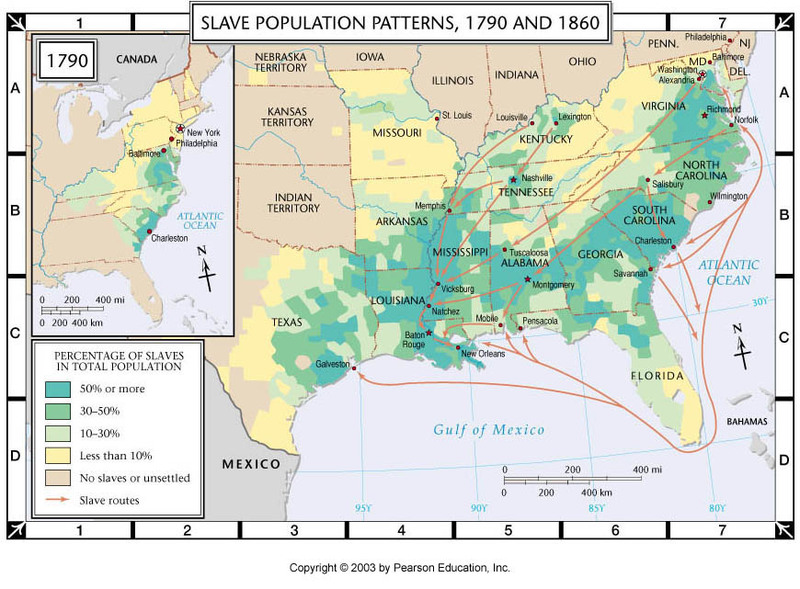 Instead take note of how the expected regions (circled in red by myself) reach levels of over 70% reaching into 98%! 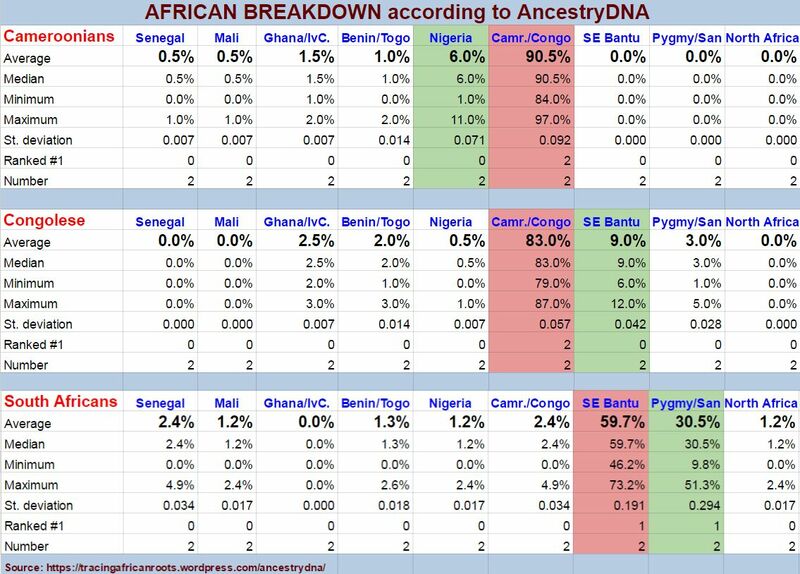 Taking a macro-regional perspective (combining overlapping regions from within West Africa versus Central/Southern Africa versus Northeast Africa) these results are usually in line as well. 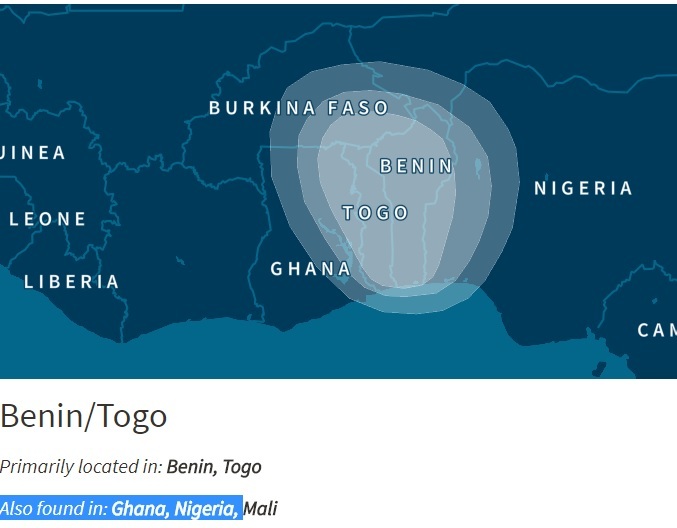 Also the additional ancestral locations appearing below the regional scores are on point! 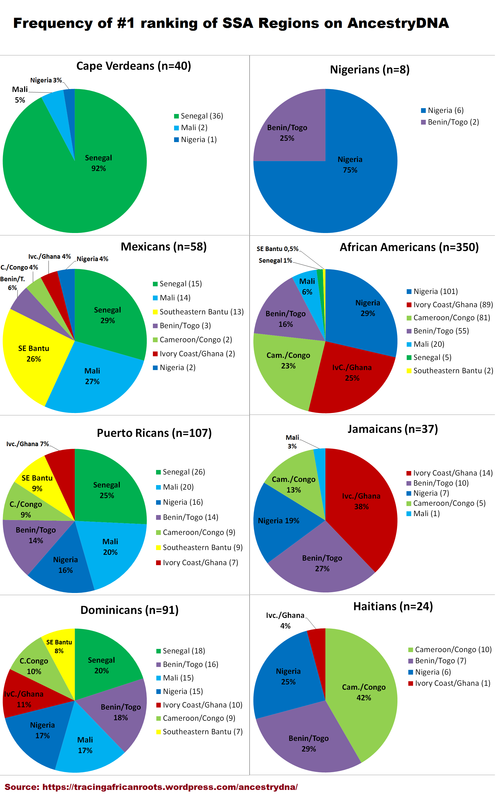 Examples to illustrate how regional admixture DOES matter!